Summer Camps and Classes are LIVE on our website! Mr. Laurence has worked hard to create several new camps and classes for us to bring into our summer camp and class line up. All sorts of things like LEGO Robotics, Math Magic 1, 2, and 3, Beginning and Advanced Excel, and Video Editing (which I might take myself). We are also bringing back favorites like Mad Scientists, Zoology, Astronomy, Art Appreciation, Mean Machines, and Manners Matter. Check them out. You can even sign up online this year. …at a new time and day. We are changing Craft Day into LEGO Club Day. On the first Friday of the even numbered months, we will be hosting the much-loved LEGO Club from Noon to 2pm. Come, bring a friend, or 6, and join us for some creative free-building fun. This activity is FREE and open to the public. All ages are welcome, parents are to please stay while your children enjoy the bricks. If you have a little one that isn’t ready to safely play with LEGOs, please keep a close eye on them. We can’t wait to see your creations! We kicked off the summer break with a bang by hosting Zoology Camp this week! 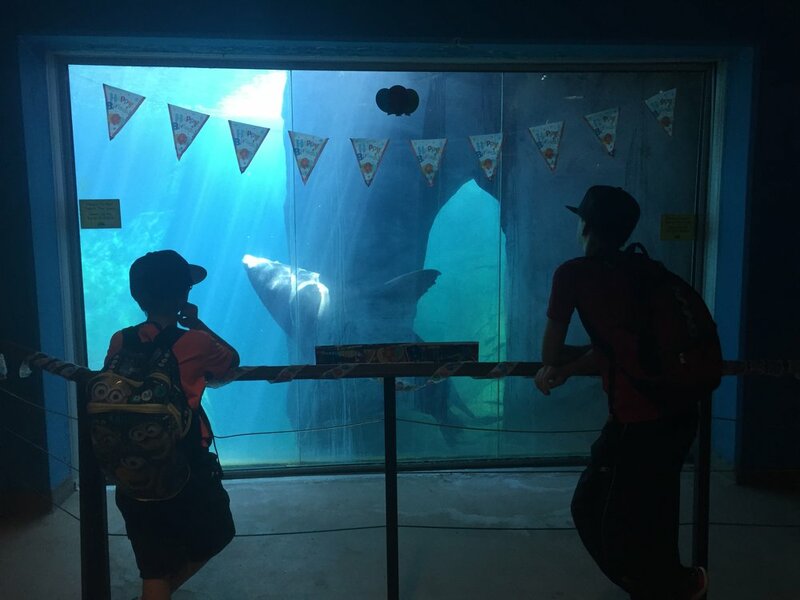 Our campers learned how to classify an animal, what the majors differences were between classifications, made some awesome crafts and wrapped it all up with a trip to the El Paso Zoo today. These kiddos are so smart, I am quite proud of them and their hard work this week. Garfield says " Hi, I'm Garfield and I love Lasagna!" What Do We Know/What Do We Want To Know? Giraffe Sculpture that is made of other animals. We looked at this for quite a while. 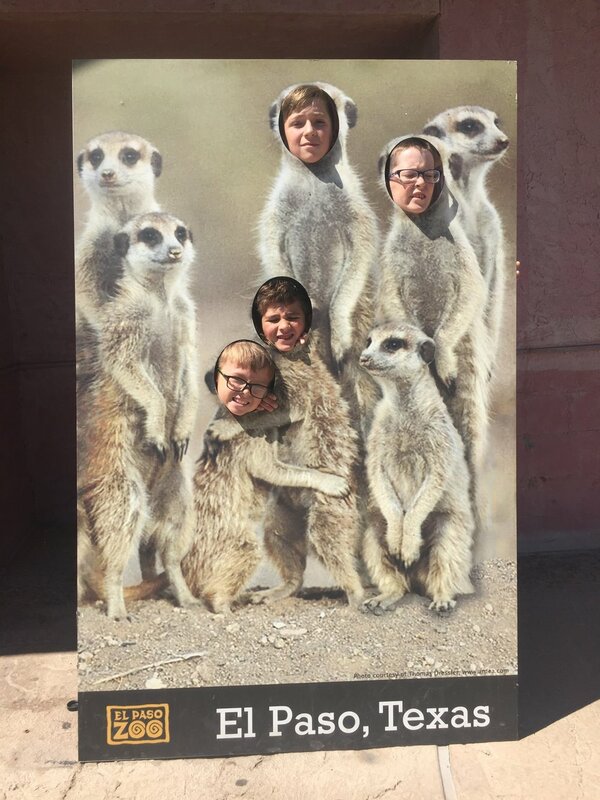 Look at these cute meerkats we found! We found some cute gardens at the zoo. I love sunflowers! LION! Up close and personal! This pelican wanted to play in the fan and not participate in the bird show. Ha ha! It’s the LAST Day of School for the 2017-2018 School Year! School is OUT for the summer! Woohoo! Happy Dance! You’ve all worked so hard this school year! You deserve a break. Enjoy it! Don’t forget to Read, Read, Read while you are enjoying your summer break, on vacation, hanging out at the pool or attending summer camp. Spring Break Camps are right around the corner! Can you believe that Spring Break is only a few weeks away? I cannot wrap my mind around it. I know you’ve all been working so hard this school year and are ready for a break. We are offering lots of camps this spring break “season” and hope you will be able to join us. We say season because between the public, private and charter schools in town, there is a full month of spring break days this year. So we are offering camps for the whole month. If you’re a homeschooler, you can take advantage of any of the day camps we offer. We are trying a new camp format for Spring Break this year. Instead of a week-long themed camp for a few hours a day, we are offering a full-day themed camp from 8am to 4 pm each day. Each day’s theme will be based around a movie, with a trip to the park, reading time, free play, and a craft included. Cost is $30 per day. Registration and payment is required to sign up. See the CAMP page on the website for more details, or call the office at (575) 208-6395 to sign up. Learn For A Lifetime has fun and educational activities to enjoy over the holiday break. Mystery Camp and Mad Scientist Camp are happening in the mornings and consider the Visualizing and Verbalizing 2 week session in the afternoons if your student struggles with comprehension and retention. Camps are for students from 5-12 years old, from 9-11 am. Cost is $50.00 plus tax. Pre-registration and payment are required to reserve a spot. Visualizing and Verbalizing Class Is Dec 26-29 and Jan 2-5 from 12-2pm each day. Cost Is $200 plus tax for the 2 week session. Pre-registration and payment are required to hold space for your child. Please call the office at 575-208-6395 to sign up or for more information.